It’s been 37 years since The Shining was first released in cinemas and quickly went on to become one of the most revered horror movies of all time. To celebrate this, The Shining has been re-released in cinemas across the U.K. this Halloween with a short documentary, Work & Play: A Short Film about The Shining, by director Matt Wells. A few days ago, I was invited to the 20th Century Fox screening rooms to see an advance preview. Before the movie played we were treated to viewing of the documentary which featured interviews with Lisa and Louise Burns who played the Grady Twins, both Kubrick’s Daughter and Producer, and Steadicam inventor Garrett Brown. The documentary is only seven minutes long but offers some insight into the production of the movie and an idea of who Kubrick was as a person, and made a great appetiser for the main that followed. What made this experience extra special to me was the fact that this was the first time I had ever watched The Shining. “How have you never seen The Shining! ?” I hear you screaming at your screens. The answer to that is simple and somewhat embarrassing – I’ve always been too scared. I have an interesting relationship with horror movies from the time of my childhood. I’d hear stories from school friends about The Exorcist, IT, and indeed The Shining, and about how they were the scariest movies they’d ever seen. They’d tell me about nightmares and various other psychological trauma and quite frankly it put me off seeing them. Throughout my childhood I’d built these movies up to be utterly terrifying and world changing, but as time went on part of the fear changed. It changed into worry. A worry that if I watched these movies they would not live up to the vision I had of them in my head. The story is incredibly simple in it’s set up. The Torrance family head to the secluded Overlook Hotel where Jack Torrance (Jack Nicholson) has taken a job as the winter caretaker. The hotel is not as it seems, however, and an evil presence begins to have an effect on Jack, twisting his mind and turning him psychotic and violent toward his family. Meanwhile his son experiences horrific visions of the past and future due to a psychic ability known as The Shine. The first thing that surprised me about the movie was how little of it I actually knew. We live in an age where everything deemed as ‘classic’ is referenced in pop culture to the point where we no longer need to experience it first hand to have an understanding of characters, stories, and situations. We absorb it all through jokes, homages, references, and The Simpsons. 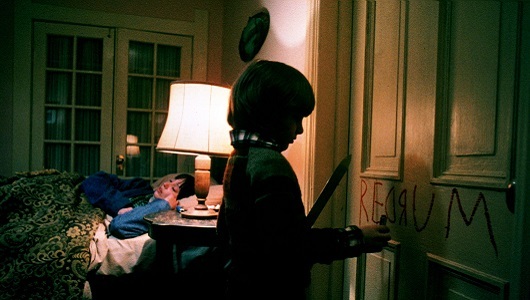 And although this is true for certain scenes, namely the twins, REDRUM, and “Here’s Johnny!”, they make up such a tiny slice of the movie as a whole that the majority of it was a complete surprise to me. The second thing that surprised me was how little The Shine itself had to do with the movie’s story. Apart from a couple of scenes where the kid Danny (Danny Lloyd) speaks in a weird voice and hallucinates we actually see very little of the titular power. The story instead chooses to focus on the effect isolation and spiritual evil is having on the deterioration of Jack Torrence’s mental state. At least that is the way I understood it. Each one of the main cast do an absolutely incredible job, and after watching The Shining I could easily see how Jack Nicholson landed the role of The Joker several years later. 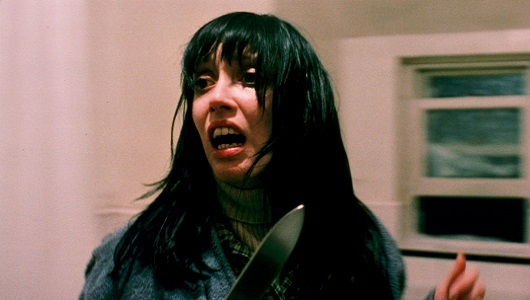 But as good as Nicholson was, the absolute show stealer was Shelley Duvall as Wendy Torrance. It has been well documented how this was the hardest role of her career, and how director Stanley Kubrick would bully and otherwise emotionally torture her on set, and it shows in her performance. The scene where she feebly swings a bat at an approaching and predatory Jack, tears streaming down her face, and real horror in her eyes is one that sticks out in my mind. The aforementioned “Here’s Johnny!” scene being another. Years later Duvall would defend Kubrick’s method for bringing out her incredible performance, but seeing the results on screen are as heartbreaking as they are impressive. Something else that stood out to me was the incredible camera work, thanks in no small part to Steadicam operator Garrett Brown. Scenes of Danny riding his tricycle through the empty halls of the Overlook, or the tense chase through the snow filled maze would not have been possible without this emergent technology. The Steadicam changed cinema forever, and seeing the shots that started it all for the first time on the big screen was absolutely fascinating. The use of symmetry in the shots, too, was incredibly striking, and it’s easy to see how and why this movies style has been replicated by directors such as David Fincher over the last 37 years. One area where the movie does fall down, however, is the pacing. The set up during the first act is nice and tense, and really helps develop a sense that something isn’t quite right. But for me the second act seemed to drag on for a good while with nothing much happening. 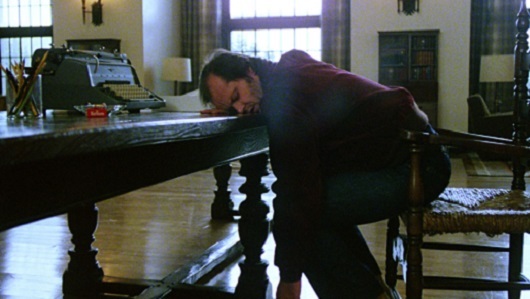 It isn’t until we get to the “All work no play makes Jack a dull boy” scene that The Shining really becomes the psychological roller coaster it is remembered for. I didn’t find it particularly scary either. It is tense, suspenseful, shocking, and psychological. But not scary. I’m not sure if this is due to the idea I had of the movie I carried in my head for 30 years, or because it’s 2017 and we as an audience have been utterly desensitized to what our parents generation considered scary. 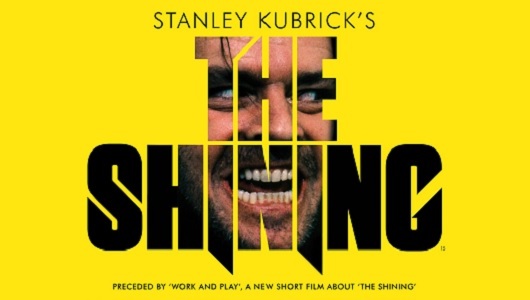 With that said then, The Shining is one of the best psychological thrillers I have ever seen, and I can’t thank Park Circus enough for giving me the opportunity to experience this masterpiece of cinema for the first time on the big screen. If you’re short for something to do this Halloween, check your local cinema listings and get out there and do the same. Tags: 20th Century Fox, all work no play, here's johnny, redrum, stanley kubrick, stephen king, the shining, Warner Bros.